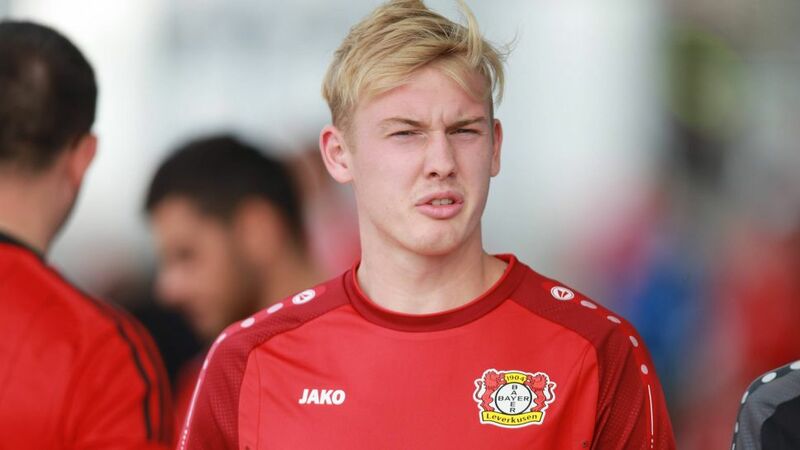 Bayer Leverkusen attacker Julian Brandt was told to go home from training for his own good earlier this week by head coach Heiko Herrlich after turning up just hours after featuring in Germany's 1-0 friendly defeat to Brazil on Tuesday evening. The 21-year-old took to the Olympiastadion pitch in Berlin as a 61st-minute substitute for Schalke's Leon Goretzka, but was on the Leverkusen training pitch at 10 o'clock the following morning, having only arrived home from the German capital six hours earlier. Brandt took part in the warm-up and some light drills as Die Werkself continued preparations to face Augsburg on Saturday, but was sent home after just 45 minutes by Herrlich. "He really is a teacher's pet," the coach told Bild with a playful smile. "It just shows you how he is […] but it was too risky. He played for half-an-hour the night before and then didn't sleep very much." Brandt, who has six goals and four assists in the Bundesliga this season, took the whole incident in his stride: "It wasn't something I'd planned to do, I just wanted to go. I wanted to be out in the fresh air." Despite missing that day's session, Brandt has been in training the rest of the week and is in line to start against Augsburg this weekend.